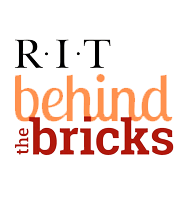 Welcome to the RIT Benefits page. You will find a great deal of information to help you understand the various benefits for which you are eligible. Click on the link below based upon your status to direct you to the information that applies to you. For all other benefits, please contact Valerie Liegey at valpsn@rit.edu and 585-475-5346/V. RIT is strongly committed to its employees and their personal welfare. Since adjunct employees represent a very important segment of the University community, we have designed an adjunct benefits package. Adjunct employees are encouraged to familiarize themselves with this information. RIT is pleased to provide continuing benefits to retirees and their eligible family members. RIT is pleased to provide continuing benefits to those approved for long term disability benefits and their eligible family members.